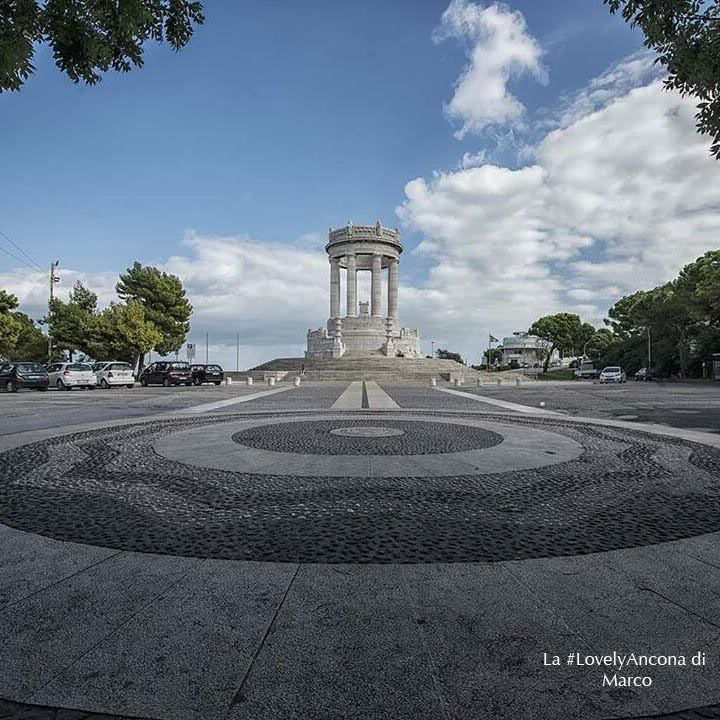 At the end of Viale della Vittoria (Avenue of Victory), overlooking the sea, stands the Monument (Ancona War Memorial). Erected in honour of the fallen of the World War I, the Monument was designed in the twenties by Guido Cirilli and inaugurated in 1930 in the middle of the fascist era. Made entirely of Istrian stone, it has eight fluted columns with a little altar in the middle. The base, instead, is decorated with helmets and swords, respectively symbols of defence and attack. Go up the stairs to reach the top of the monument: from here you will see the city, the sea and the greenery that surrounds it and you will understand why we love so much this corner of our city. It is from the Monument that you can reach Passetto‘s beach and its characteristic caves.